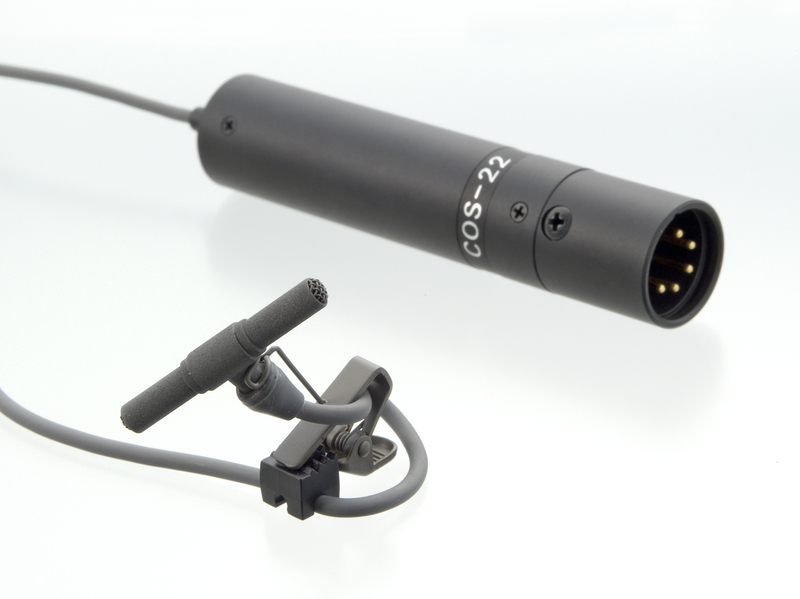 The Sanken COS-22 is the world’s first 2ch lavalier microphone. In the tradition of the popular Sanken COS-11 lavalier series, the ultra miniature COS-22 measures only 31.6mm (1.25”) in length but boasts a full frequency response up to 20,000 Hz. The two-channel, dual-omnidirectional COS-22 is designed for a variety of applications, including high quality unobtrusive area miking, stereo recording of music and environmental ambience, redundant capsule live broadcast (e.g. news anchors), and boundary-style miking for film and television. In addition, the COS-22 can be used as a noise cancellation directional microphone pair by reversing the phase of one channel before summing the two outputs.